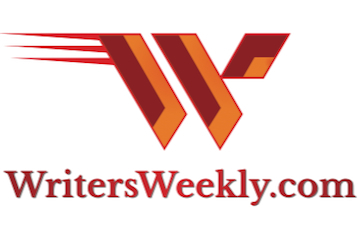 A few years ago, we ran a poll for our readers to see which section of WritersWeekly they liked the most. We were pretty surprised to learn that News from the Home Office was the most popular section. Of course, Paying Markets and Jobs for Writers was #2. A few years back, I discovered WritersWeekly.com. At first, I was especially attracted to “Paying Markets” but, as time went on, I gradually learned that the accumulated articles that you offer are a warehouse of practical writing knowledge. Now, I look forward to receiving your latest publication and reading the various articles. I barely notice “paying markets” and I have started doing occasional research in your past articles. For pleasure, I tend to read and write articles of an historic interest. 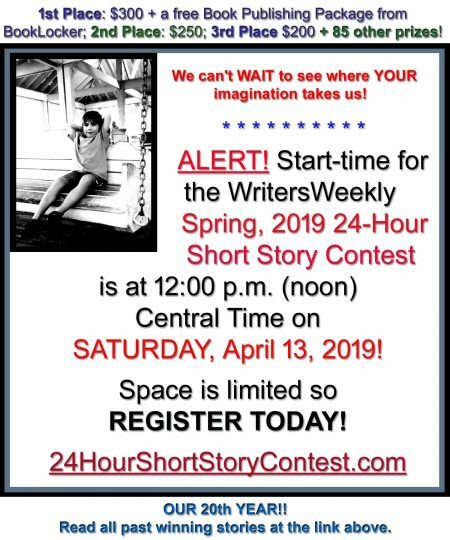 I would quite enjoy reading an article written by you and your husband on the history of WritersWeekly.com and BookLocker.com. I think your subscribers would enjoy such an article also. William’s email reminded me that I haven’t written about our story in several years. I hope you enjoy this bit of our occasionally stressful, but always romantic, history. A long, long time ago, I was an aspiring freelance writer and a mother of three. I was also in a very unhappy marriage (which is described in my book, The Emergency Divorce Handbook for Women ). And, at that time, I was working full-time in the aerospace industry as an accountant. I’d work all day, come home to care for the children, help them with their homework, feed them, play with them, bathe them, put them to bed, read to them, tuck them in, and, then, stay up until the wee hours of the morning, trying to make a better life for my babies. I typed research papers for college students. I did accounting and other office work for two entrepreneurs in town. I picked up whatever extra work I could. And, whenever the steady-paying work was slow, I’d send queries to magazines. I was getting plenty of assignments. The pay wasn’t great but I loved it. I’d decided in 10th grade that I wanted to be a professional writer. At that time, I’d written a book report on a book I never read and my English teacher, Mrs. Martin, gave me an A+. She wrote “Good B.S. !” at the top of my paper. I was hooked. I came up with a questionnaire, and started sending it to magazines via email. And, they were happy to respond. I created original market listings using their answers, had them approve each one, and then posted them to my brand new website, WritersMarkets.com, which I’d cobbled together with almost no HTML experience. Ah, the good old days when livin’ was easy! I never heard from them again. But, I did change the URL to avoid future problems. We still own that old URL, of course. Anyway, I started collecting subscribers, keeping the list in a spreadsheet. My little hobby website quickly developed a following as the ONLY source of paying markets with each editor’s CURRENT NEEDS. There was no other source of brand new, fresh market information for writers at that time. Pretty soon, I was writing books for writers, teaching them what I’d done. I would have copies of my booklets printed and stapled at Kinkos (and, later, at Minuteman Press). They were selling pretty well. So well, in fact, that I had to get a merchant account so I could start accepting credit cards. That was LONG before PayPal! He was an angel! Of course, I said yes! One day, when I was putting another booklet inside another envelope, and pulling out my roll of stamps again, I had an idea. What if I sold my books as MSWord files to my readers? 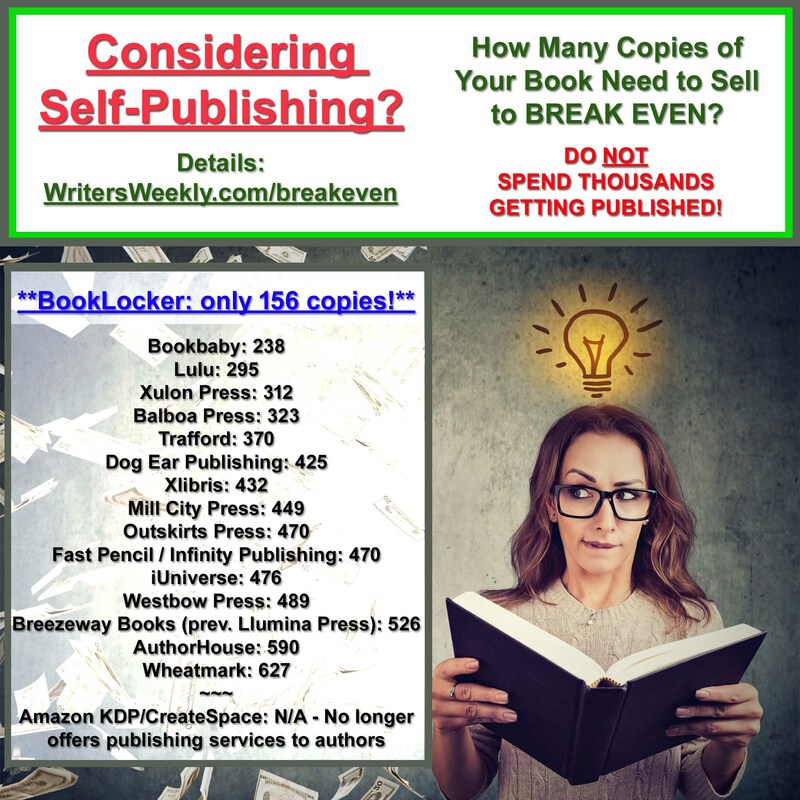 I could lower the price, my readers could avoid paying shipping fees, and they’d get the product instantly. I quickly implemented my plan, emailed my readers, and sales soared! I had unknowingly created one of the first e-books – long before the term “e-book” was made famous by Stephen King. A few months later, I lost my job. My ex wasn’t paying child support. And, my refrigerator was broken. I started skipping meals to ensure the children had enough to eat. They still (not so fondly) recall eating cereal in the mornings with warm powdered milk. I was still dating Richard but I was too proud to ask him, or my parents, or anyone for help, or to even tell them how bad things were. The only money I had coming in was from my book sales. I wasn’t receiving any government assistance because I was too proud for that, too. I put it up for sale, sent the weekly issue out to my readers, and earned more than $700 on the very first day! With that book’s continued sales, and sales of my other books, I was able to support my children (and get the refrigerator fixed). Richard got a job near Boston. He and I had talked about marriage but we didn’t have a date planned yet. I was going to miss him terribly. One day, standing outside of his apartment, we were talking about his new employer needing him right away. I told him to go ahead and leave that week. The kids and I would pack up his apartment for him. He’d come back down the following month to put his stuff in a U-Haul. PRINT ON DEMAND PRICE COMPARISON – 2015! 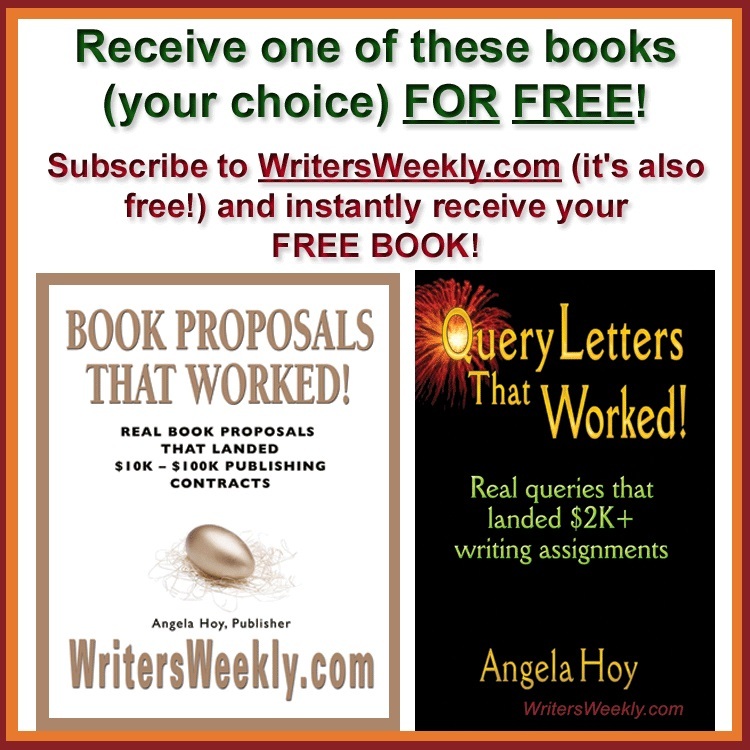 13 Responses to "PART I – The Romantic History of WritersWeekly and BookLocker by Angela Hoy"
I always read Form the Home Office first, then the rest of the newsletter. I have found many useful ideas here and appreciate your work in getting it out weekly. I love this story. Can’t wait to hear the rest! Lovely, dear, lovely! Gave me an idea for the opening of my next novel! Thank you for sharing! I’m a history nut, so your personal history was so neat to read. And, I agree with what you posted…. I go for “Home Office” first, and then “Paying Markets.” I have recommended booklocker.com more times than I can remember! You guys rock! I’ve known you since grade school Angie and you have always been one of the most creative, inspiring, caring, thoughtful people I’ve ever met. And I have never heard this story before and am anxious to hear part two. You have not changed one bit since we were little and it’s a joy to know you!! I agree with Sharon! I think your next writing project should be a screenplay: ANGELA’S ST”ASHES” of Wit, Wisdom and Words for Writers. LOL! And, I think Reese would be perfect for the main character. You’re both blonde beauties. I’ll be the first in line to see the blockbuster! You’ve got a lot of verve, and you inspire so many, including me! Can’t wait for “Part II” next week! I’m hooked too! And a fan from Downunder who also admires your hard work and applauds your success. Raising a glass to you and Richard – I just hope he approves of my wine choice!!! Hmmm. Someone should pick up the movie rights – attention, Reese Witherspoon! I’m hooked and can’t wait till next week! Thanks for sharing this with us, Angela. Oh my God, You’re going to make us wait a week!!! What a tease! But that’s okay, more than that, you are an inspiration. You’ve got grit! My hat’s off to you! You deserve every success for your hard work and perseverance. It’s a honor to be working with you. Cheers!